If you look around the internet, you’ll notice multiple schools of thought when it comes to unclogging a drain. For instance, you’ll find some homeowners touting the excellence of baking soda and vinegar as a cleaning agent for drain cleaning. Then, one page down, you’ll find someone claiming the mixture is damaging to your drainage system. It only hinders and hurts the pipes, they will say. So, which are you to believe? Well, trust in the expert plumbers, not a simple blog from a random homeowner. Here are methods to unclog your drain for a healthy, efficient drainage system! Here, we’ll explore a few unique methods to unclog a drain. Of course, nothing beats the service of a professional plumber. We’ll examine professional drain cleaning a little later, though. Baking Soda and Vinegar – Mix 1/3rd cup of baking soda with 1/3rd cup of vinegar in a single measuring cup. The mixture will begin to fizz. Waste no time in pouring the concoction down the drain. The fizzing reaction will remove gunk, hair, and dirt buildup within the pipe. Let is sit for an hour, or overnight, then flush with hot water. Alternatively, pour plenty of baking soda down the drain, then chase it with the vinegar, followed by hot water. Boiling Water – Perhaps the simplest of unclogging methods, boiling water is readily available and easy to handle with care. Either boil the water in a kettle (the spout is perfect for pouring) or in a pot. Slowly pour the boiling water down the drain. You’ll want to pour the water in stages, however. In between pours, allow the boiling water an opportunity to drain. It will take several seconds. Boiling water remains one of the easiest methods to unclog a drain. Drain Snake – A drain snake is a piece of low-tech plumbing equipment. It’s likely the most common plumbing tool in residential households. Simply put, the tool is a flexible metal rope with a spiral of metal pieces at the end. You guide the metal rope down through the drain, then through the clog. Lastly, carefully remove the snake to pull the clog with you. Dish Detergent – For a clogged toilet, 1/4 cup of dish detergent, followed by boiling water, can break down grease residue. This is the pre-stage. You’ll ultimately follow the detergent and hot water with some plunging action. Your other option is professional drain cleaning. Now, you’re likely imaging the cost in your head. Ignore the cost and consider the investment. Besides, professional drain cleaning appointments aren’t usually too expensive. The benefits – both short- and long-term – outweigh any cost now. Limit Odors – An expert can put a stop to odors by removing particles lingering in the line. Cost – By paying for professional service now, you reduce the cost of needed repairs or drain cleaning later. 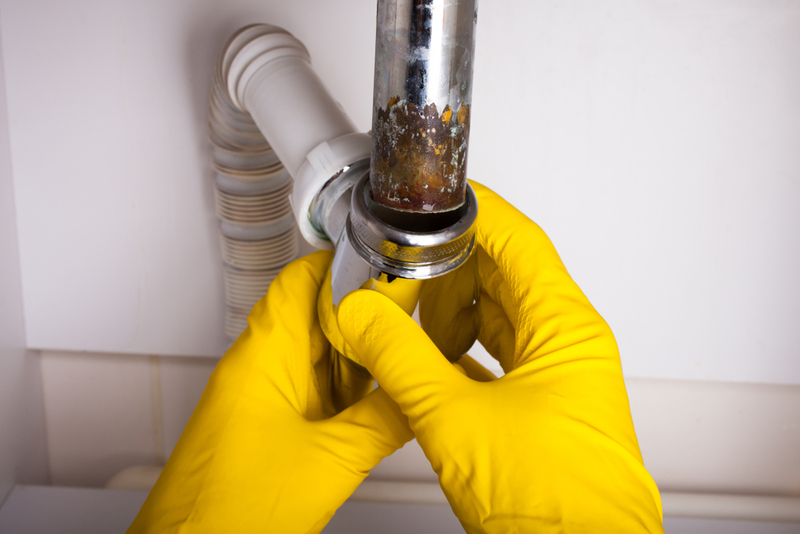 Reduced Blockages – A properly cleaned drain ensures the interior of the pipe is clean and smooth to reduce blockages. Schedule professional drain cleaning services in Honolulu with Emergency Plumbing & Solar. Call 808-691-9309! How to Unclog a Drain Overall rating: 5 out of 5 based on 10 reviews.